Margaret was born in Ghana, West Africa, with her great, great, great Grandfather, Dr Samuel Ferguson, being a Scottish surgeon who married a Ghanaian lady and settled in the country. Coming from a musical family she first studied the piano and the cello, until finally making singing her career. While studying music at the University College of Education in Winneba, she was invited to sing at the Swiss Ambassador's residence. This lead to further invitations to entertain at a number of other Ambassadors' and High Commissioners' residences. During this time she made various live and recorded programmes for television and radio, plus performing numerous oratorios and concerts in many places in West Africa. In 1993 she gave a solo performance for HRH Prince Edward, now The Earl of Wessex. 1994 saw Margaret awarded the "Chevening Scholarship" by the British Council to study opera at the Royal Northern College of Music, Manchester. The invitation to study at the European Mozart Academy in Poland came in 1997. Music In Hospitals asked her to present concerts for them in 1998. Since then she has performed over a thousand concerts for the charity in England, Wales and the Channel Islands. Margaret gained her LLCM in 1999. 1999 was the year she received an invitation to sing for Wilmslow Opera. In 2000 she joined the North West Opera, which was later renamed City of Manchester Opera. 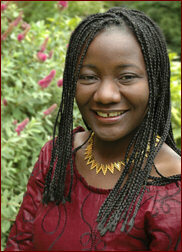 Margaret formed her own choir in Ghana called The Bi-Tonic Singers in 2000. When she is in England they are taught by John Annan, but she telephones most weeks during rehearsals and gives advice and help. When in Ghana she trains them directly and performs with them in many charitable concerts. These have been performed in various halls in Kumasi and Accra, including the National Theatre and the British Council. Her first invitation to sing solo with the English Concert Singers came in 2002, with further invitations in following years in London, Cornwall, Paris and Rottingdean. 2002 saw the founding of the Commonwealth Games Choir for the opening ceremony of the games of which Margaret was a member. It was later renamed The Manchester Gospel Choir, of which she is now the Musical Director. They have sung in various venues, including live on television and radio. She is a founding member of Musicaria, which was formed in 2004. 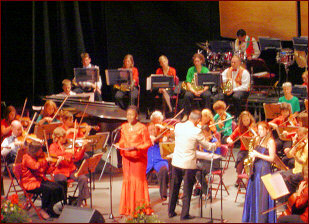 Musicaria presents concerts mainly in the Manchester area to raise money for various good causes. 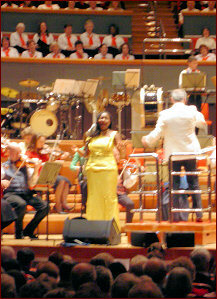 An invitation to sing with the All Souls Orchestra came in 2004 with Prom Praise Concerts in the Bridgewater Hall, Manchester and the Royal Festival Hall, London. Further concerts have followed in The Royal Albert Hall, London; St. Andrew's Hall, Norwich; the Philharmonic Hall, Liverpool; the Waterfront Hall, Belfast; and the Millennium Forum, Londonderry; Venue Cymru, Llandudno; The Symphony Hall, Birmingham and the Victoria Hall, Stoke. Her first appearance for Music at Sine Nomine in Cheshire, which raises money for The Children's Society, was in 2005 with Andrew Wilde. For the eight years between 2008 to 2016 she has sung at the Buxton Festival Fringe she has been a nominee for the Best Individual Vocal Performer. In 2015 Margaret was invited to join Voci, an Opera Quartet which presents Concerts in various venues in the United Kingdom and abroad. Her brother, Edwin, is an accomplished pianist and her sister, Hannah, designs and produces most of Margaret's performance dresses. Margaret's voice teachers have been Ava June Cooper, Kerstin Meyer, Eva Blahova, David Sutton and Sandra Dugdale. She is at present with Rosemary Hill.